Bring a whole new meaning to the term road rage when you hit the streets in the Beast '14 from Brooks®! 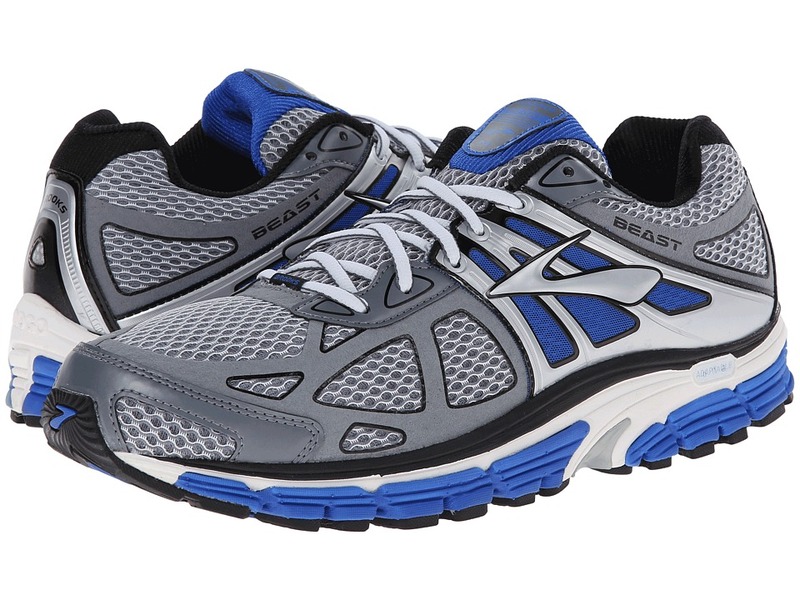 Successor to the Brooks Beast '12, SKU# 8265745. A running shoe built for the moderate to severe over-pronator who requires a combination of reinforced stability and cushioning. Redesigned upper is made up of breathable mesh and lightweight synthetic materials that hug the foot for a glove-like feel. Moisture-managing Element mesh upper and sockliner technology keeps feet feeling cooler and fresher. Updated BIOMOGO midsole provides the long-lasting plush you have come to love, while being more environmentally friendly than before, thanks to a non-toxic additive that spurs an even faster breakdown once it hits the landfill. Extended Progressive Diagonal Rollbar (PDRB®) delivers maximum control. Abrasion-resistant HPR Plus rubber outsole offers extended durability right where it's needed.